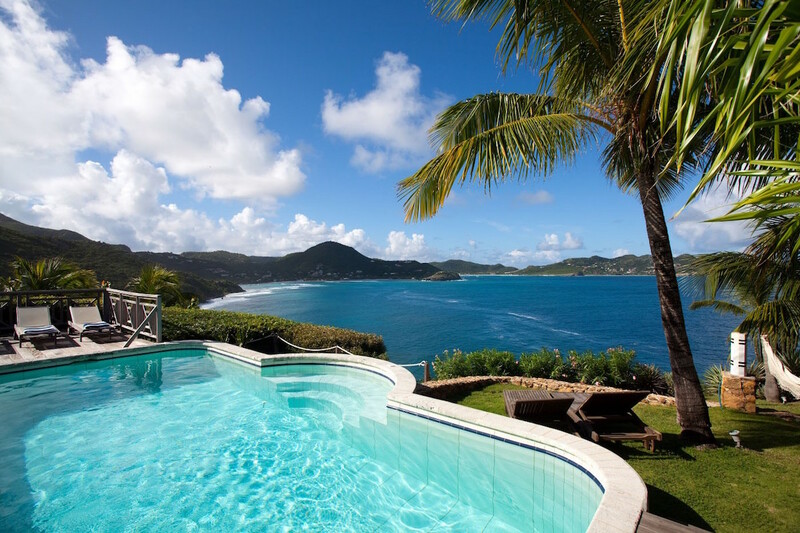 Located in Pointe Milou, Cocoland Villa features a private pool with views of the sea. The villa has 2 private bedrooms located on opposite sides of the home, and both are air-conditioned and have en-suite baths. There is another full bathroom within the villa as well. A fully equipped kitchen is available for snack or meal preparation, and there is also a comfortable living area with a TV and DVD player. Outside, there are a lot of seating options around the pool, and the deck has areas of sun and shade. Restaurants can be reached in minutes by car, and Gustavia is just 15 minutes away. Ideal for 2 couples! Very Private. Cocoland is located in Pointe Milou, and the two-bedroom villa is nicely furnished. The outdoor spaces are expansive, with great views across the water. Included is an alfresco dining terrace with plenty of poolside seating choices for both sunbathers and those who prefer lounging in the shade. There are 2 air-conditioned bedrooms with queen four-poster beds, TV/DVD, and en-suite baths. The rooms are located at opposite ends of the villa to ensure privacy, making this an ideal rental for two couples. The indoor space includes the living room with an office area and a third (full) bath. The dining room is adjacent to the well-equipped kitchen. The Christopher Hotel is just a 2-minute drive away and serves lunch and dinner. TV, DVD, Wi-Fi, CD, American Satellite, gas barbecue; pool maintenance, gardener, household linen, bath towels, beach towels.